Create an account to start listing your flat rate legal services today. List your ads within five minutes! I am a lawyer or agent for a law firm. Easily create listings for your flat rate services. Quickly create a profile that looks nice and informs your potential clients. Upload a profile image and an overview of your practice. 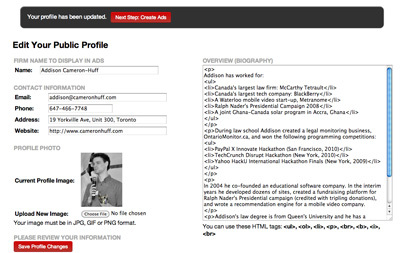 See how many people have clicked your ads, requested your contact information and viewed your profile. 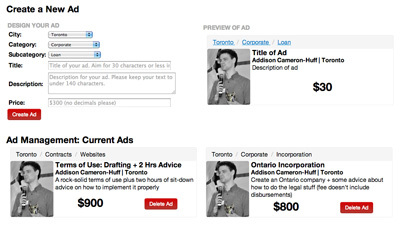 Embed your ads on other websites. The widget will automatically update when you add new ads.